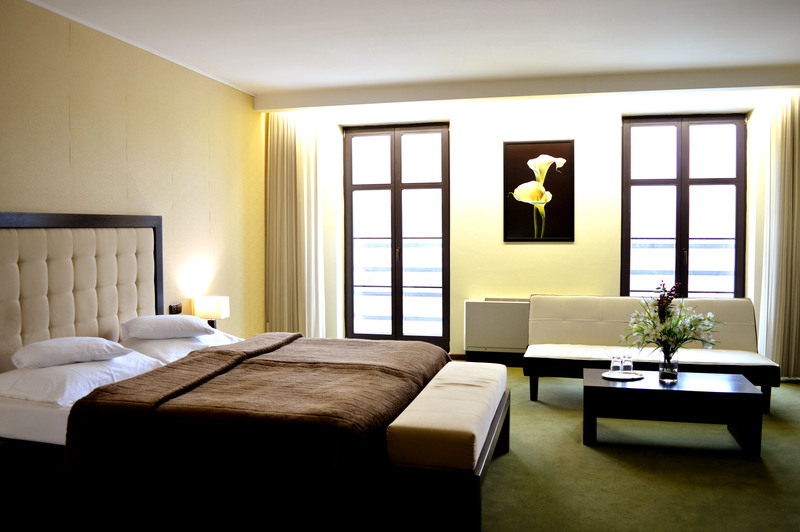 Luxury comfortably furnished room with French windows. Dominating the room is its glass bath. Group bookings: 10-15% discount on rack rates, depending on length of stay.